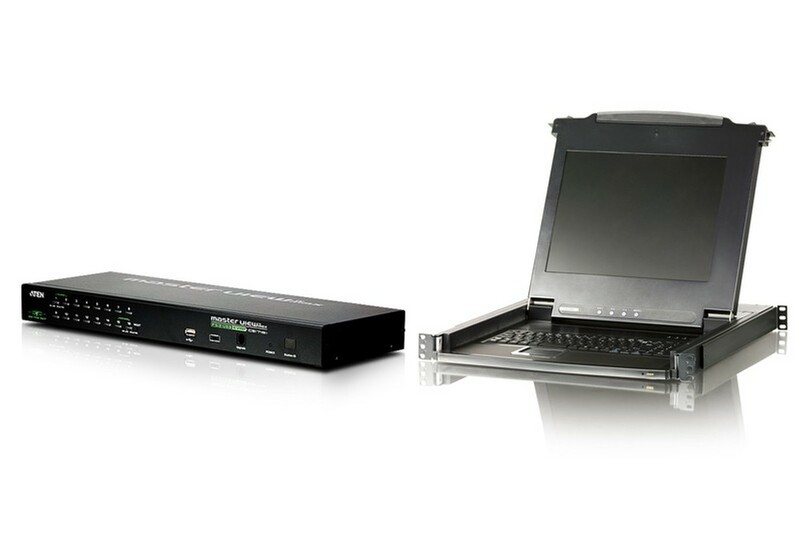 The ATEN CLCS1716iKIT is a KVM Kit that features the CL1000M(LCD Console) with CS1716i(16-Port IP KVM) Bundle. 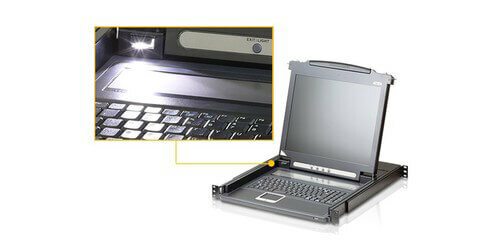 This kit features the following items: The CL1000M 17" LCD Console, CS1716i 16-port IP KVM Switch. 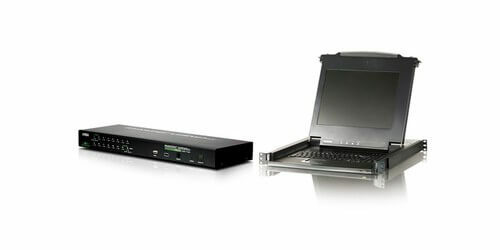 The bundled ATEN IP KVM, CS1716i, allows you to manage 16 computers either directly from the CL1000M, or remotely from anyplace on your network or the internet. 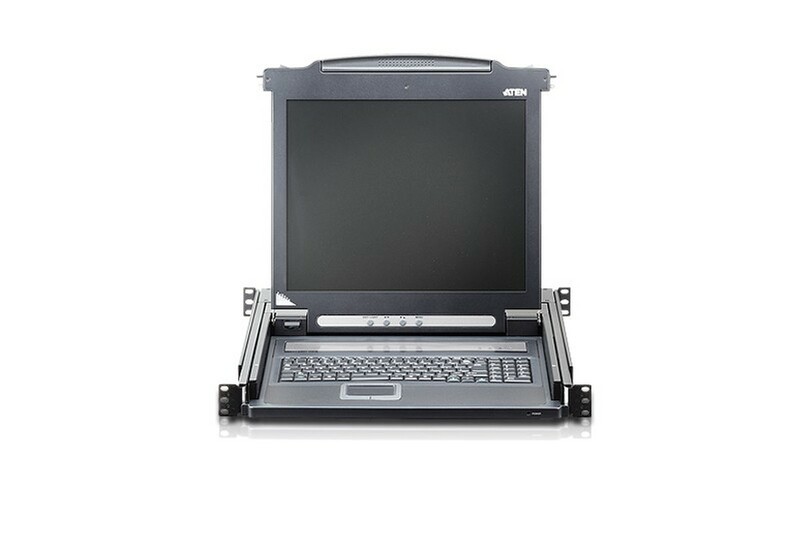 The CL1000M from ATEN is a 17" LCD KVM Console Module. 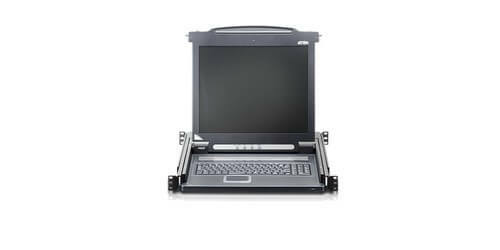 This console offers an integrated 17" LED-backlit LCD panel, full keyboard, and touch pad that can be fitted into a single rail 1U rack-mountable Slideaway housing, and acts as a front-end for standard KVM switches. 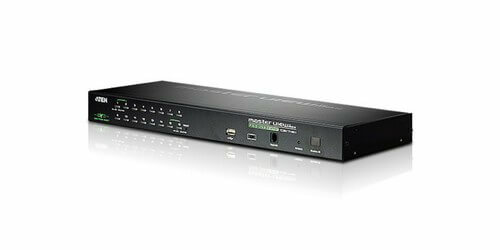 This product is perfect for users who already have a switch as they can take advantage of the space saving and efficiency benefits of the CL1000M LCD KVM console without unnecessary expenses of having to purchase a KVM switch, and is compatible with most PS/2 KVM switches. 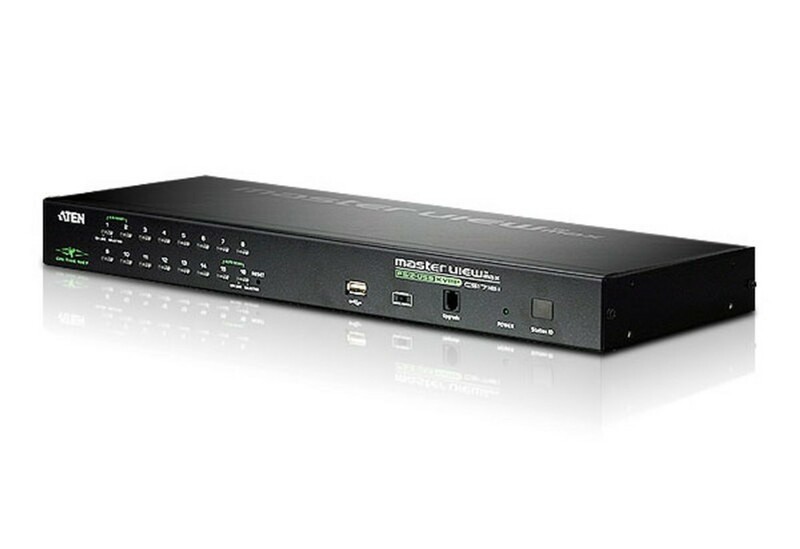 Basically this device works by offering a LCD control console connected to a KVM switch through an SPHD connection, allowing users a localized control station of all connected devices through the switch. 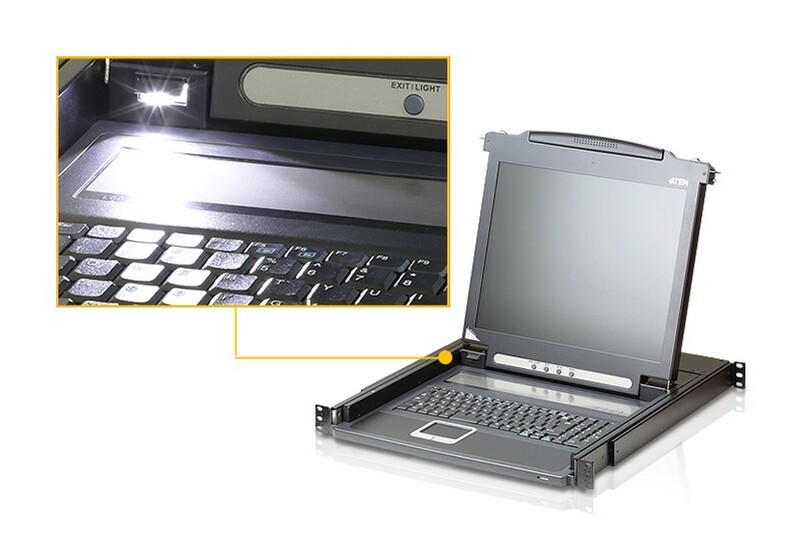 ATEN has designed into this LCD Console an exclusive LED illumination light that has been designed to illuminate the keyboard and touchpad to gives users visibility in low-light conditions commonly found in network rooms/IT rooms. The LCD module can rotate up to 115 degrees to allow for a more comfortable viewing angle, and has its own internal power built-in. 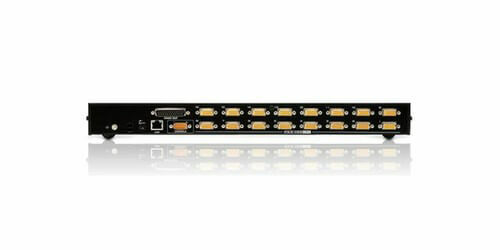 It will support video resolutions up to 1280 x 1024 @75Hz, as well as supporting DDC, DDC2, DDC2B. 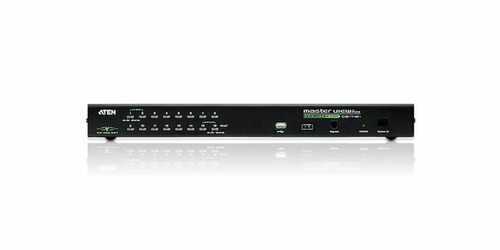 DDC emulation provides VGA settings of every connected computer that are automatically adjusted for optimal output to the LCD monitor. 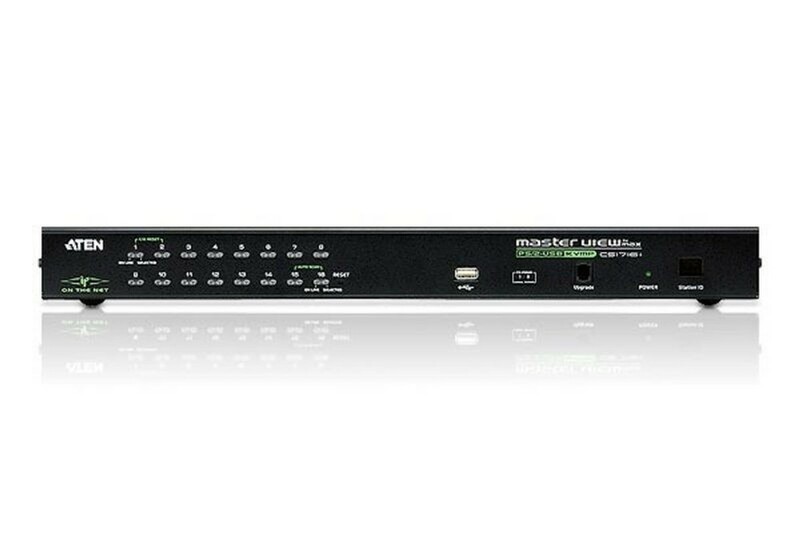 Supporting Multiple Platforms gives this device great system integration and flexibility, these include Windows 2000/XP/Vista, Linux and FreeBSD. 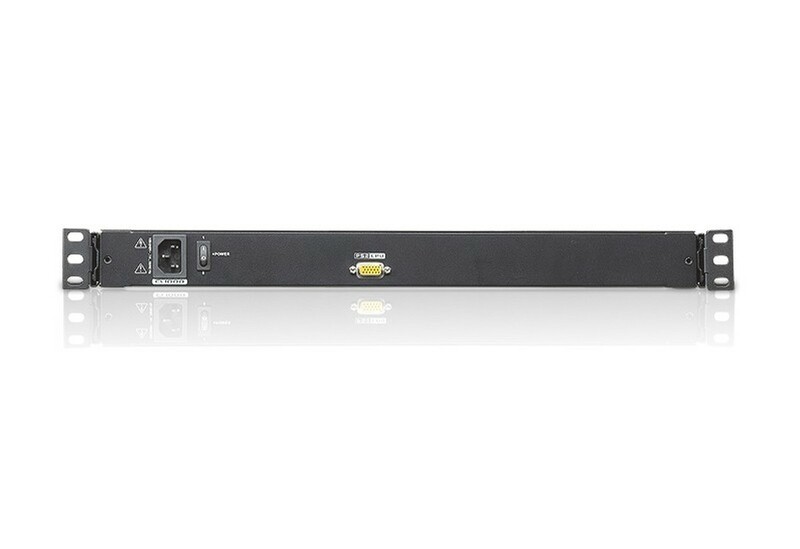 The CS1716i KVM switches is an IP-based KVM control unit from ATEN that allows both local and remote operators to monitor and access multiple computers. Remote users access the switches over the Internet by means of a web browser using TCP/IP for its remote communications protocol. 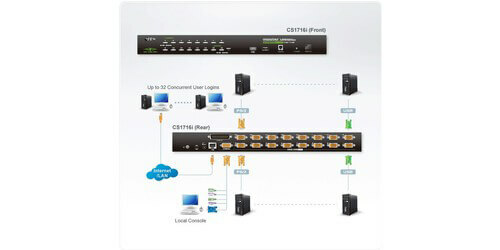 The CS1716i supports up to 32 concurrent user logins for single-bus computer access. A built-in feature that resembles an Internet chat program - the Message Board - lets them communicate with each other. The ability to exchange information in real time allows them to cooperatively manage the installation in a smooth and efficient manner. 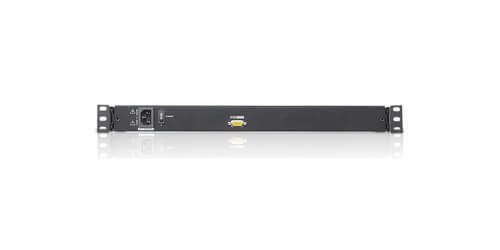 Among the CS1716i other outstanding features, a Panel Array Mode provides the ability to monitor up to 16 servers per switch; while the Mouse DynaSync feature automatically synchronizes the local and remote mouse pointer movements for perfect alignment regardless of what the mouse acceleration settings on the server are. 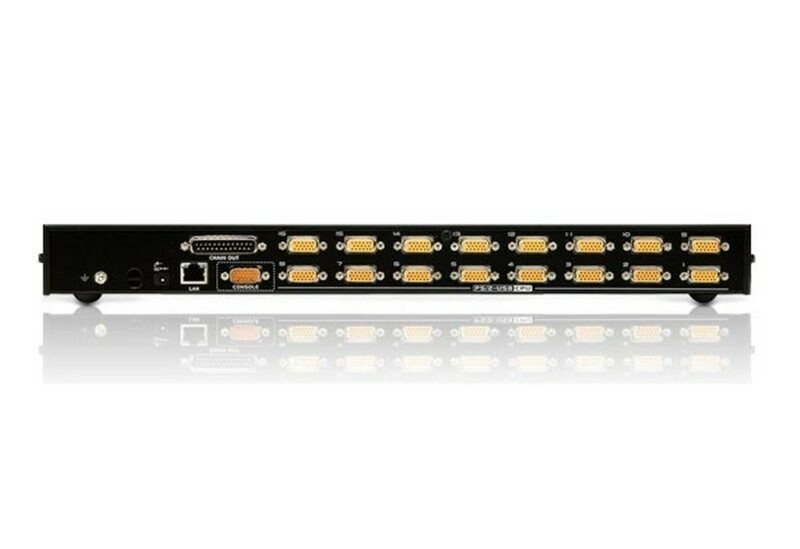 The CS1716i supports the highest security protocols, such as TLS 1.2 encryption for the browser, and RC4 128 bit encryption for secure keyboard, mouse, and video data transmission. 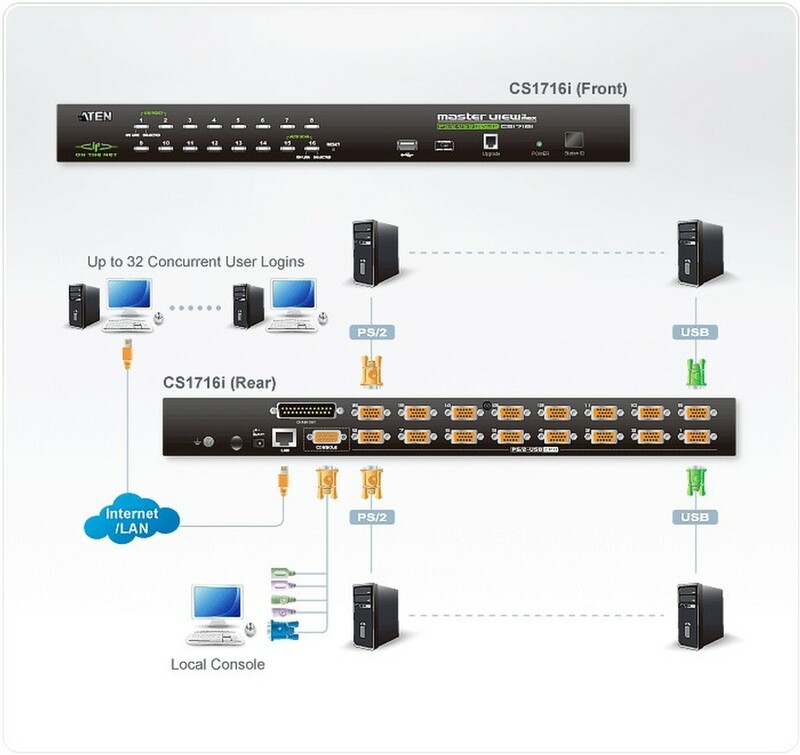 For easier and more efficient user management integration, the CS1716i also supports authentication and authorization via remote servers, such as RADIUS, LDAP, LDAPS, and MS Active Directory.